HILL TRIBE SILVER SWIRL WOVEN PENDANT. Each piece is approximately 35.5 x 24.5 mm in size. The price and weight given is per piece. The minimum order is 2 pieces. 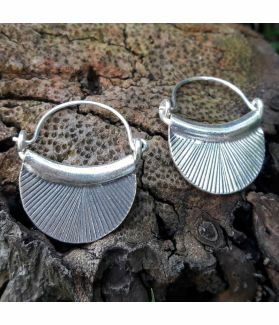 This fine silver pendant is made of 99% silver, which has been handcrafted by the artisans in a hill tribe group known as the Karen Hill Tribes. Handcrafting hill tribe silver has been a custom in which the ability has been passed down from generation to generation. 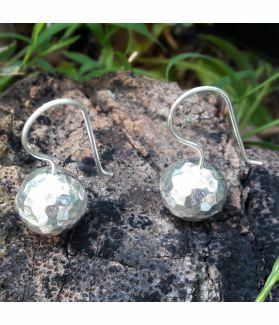 The high silver content of Karen silver makes it softer than sterling silver, but of a higher quality and slower discoloring. 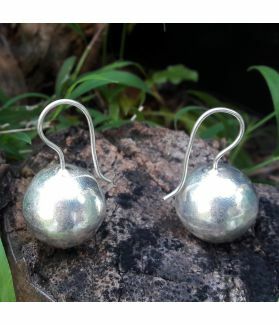 Because Hill Tribe Silver is hand- made, each piece is slightly different; making every one of them a truly unique pendant. This special silver pendant can be utilized as a component of your hill tribe silver jewelry or bracelet.